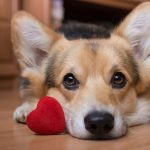 Home » For Pet Lovers » Are You Loving Your Pet to Death? 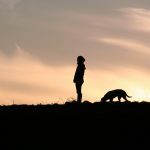 Are You Loving Your Pet to Death? In the winter of 2010, I was living in Leesburg, Va., with my wife and our 2-year-old daughter. When a snowstorm blanketed the area, my wife and I decided it was time for our daughter’s first snow experience. First time parents that we were, we bundled her up like a little Michelin man, wrapped in layer upon layer of padded clothing to ensure absolutely no harm – or cold – would come to her. Did our efforts keep her warm? Oh, yes. Did they keep her safe? Well, not exactly. When she fell down, as toddlers eventually do when set free outdoors, she rolled around helplessly in the snow. She was so heavily insulated that she couldn’t use her arms or legs to get up. Whoops. We had acted very deliberately to do what we thought was best and had created an entirely new problem. Still, aside from her face, I’m certain she was never cold.